Monetary or in-kind donations of $50-99 value: Above and mention on the flyer. 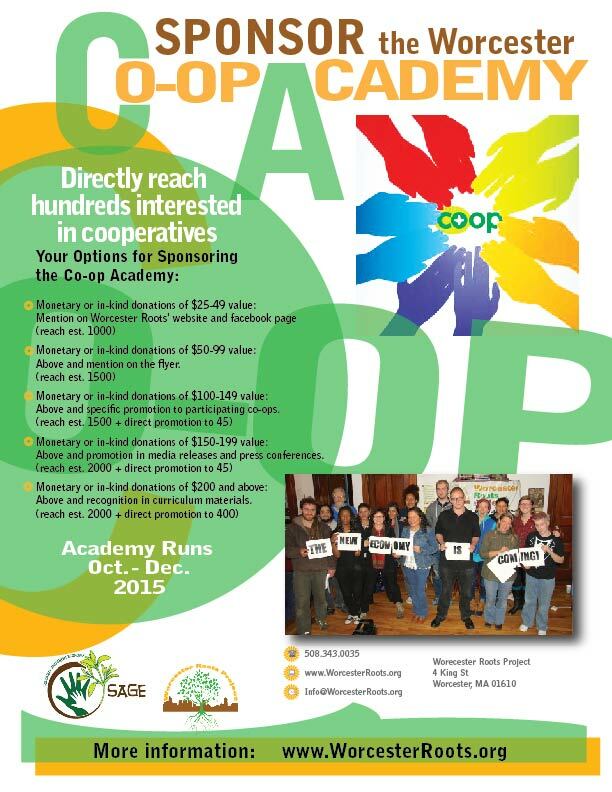 We write to you from the Worcester Roots to offer you the opportunity to participate in a sponsorship campaign for our Toxic Soil Busters youth program. We are inviting local businesses to sponsor lead-safe landscaping sites or to sponsor teen participants in the program. Sponsorship, while providing essential advertising for your business, will also directly contribute to making Worcester a safer and healthier city. The Worcester Roots is a 501(c)(3) non-profit organization that addresses environmental issues such as childhood lead poisoning. Lead in the soil is a leading cause of childhood lead poisoning, and prevents families from safely having gardens and letting their children play outside. We support a lead-safe Worcester through outreach, education and soil remediation services. We can offer your business numerous advertising opportunities in Worcester, as well as recognition on our website and print materials that will promote your business as a partner for community improvement in these difficult economic times. We hope that you will consider the value of partnering with our organization as you think about how to spend your marketing dollars this year. We are excited to work with you to identify marketing opportunities that will best fit your business’ needs – and showcase your commitment to your community. Worcester’s local business community has an important role to play in environmental health, youth employment and community improvement. Please consider taking advantage of this mutually beneficial opportunity!